Power Rangers fans have been waiting to see what happened to Tommy Oliver after his days as a Ranger, and now they can with Power Rangers: Soul of the Dragon. So, does it live up to expectations? There will be spioilers in this review, so if you haven't read the issue yet you've been warned. 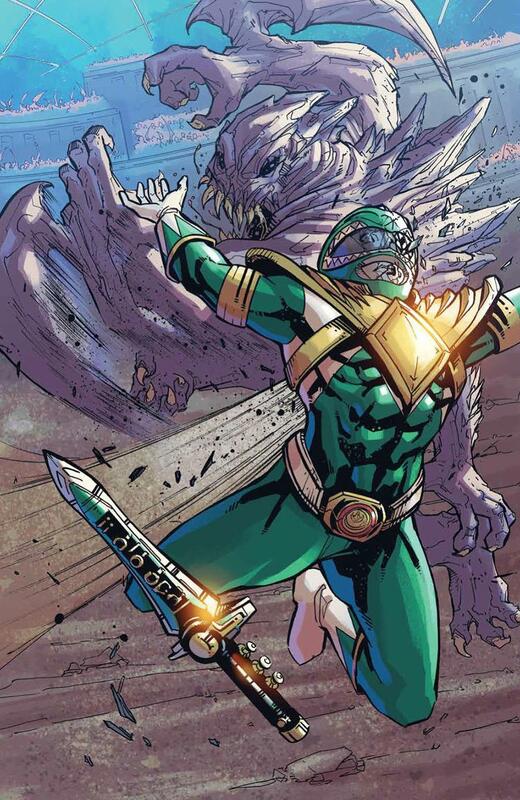 Power Rangers: Soul of the Dragon is written by Kyle Higgins and drawn by Giuseppe Cafaro, and details a side of history that up until now fans haven't seen before. 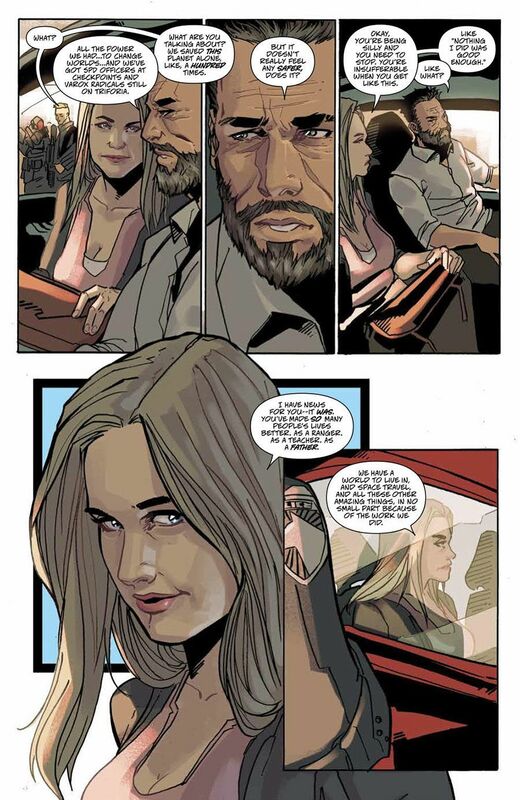 That said, going down memory lane isn't the only reason to dive in, as Higgins also explores what life after being a Ranger looks like, especially for one as legendary as Tommy Oliver. 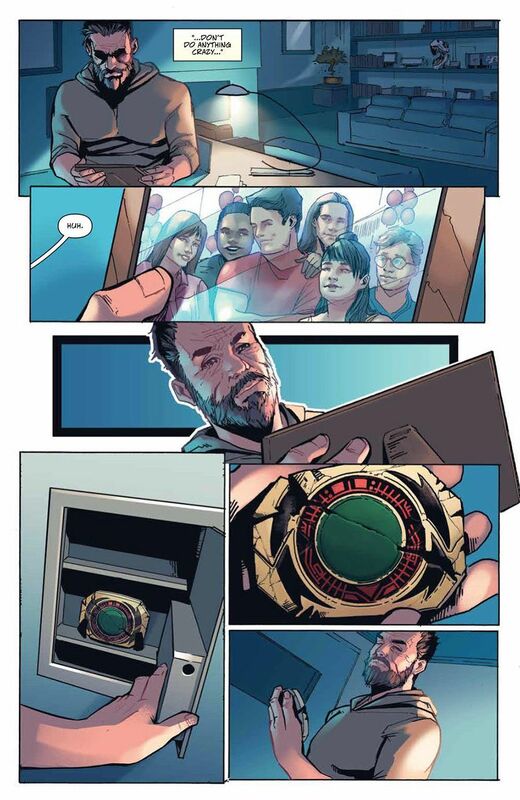 Higgins knows Tommy quite well from his work on Mighty Morphin Power Rangers and Shattered Grid, and it shows. The dynamic between Tommy and Kat feels organic, and honestly far exceed anything we ever saw on the show. While the stakes are heightened, their conversations are relatable. They might be talking about saving the world multiple times over, but at the core of the conversation is one person telling the other to stop guilt-tripping himself while also reminding him to go to the doctor, and that's something any couple can relate to. Longtime fans of the franchise will have plenty to latch onto, from witnessing what the world looks like after S.P.D. to learning what happened to familiar faces like Finster and Scorpina. Fans will also meet two new characters in Anara and JJ, and both have new lights to shed on Tommy, both as a Ranger and as a Father. In fact, Anara might just be the biggest surprise here, as she has ties to the old canon but also forges her own path as a character by issue's end. A major aspect of the book revolves around the Master Morpher and Tommy's powers, specifically that as he uses them he loses them. That actually ends up making each use of his powers feel special and like it matters, as you anticipate seeing your favorite Ranger form throughout the book but know that it carries a consequence, namely that you'll never see it again. Sure, it would've been great to have him flying all over and switching between forms from a visual and action perspective, but this gives more actual weight to the times the powers do show up. If it's our choice, we'll gladly take the latter choice. The good news is that when those powers do man an entrance, Cafaro makes it count. The action sequences carry weight here, as you feel the toll of each blow Tommy takes. Powers or not, those hits feel like they matter, and it makes those times when Tommy goes on the offensive even more rewarding. Dino Thunder and Green Ranger easily steal the show, but Cafaro shows skill in the subtle moments too, delivering what is one of the most heart tugging moments in the book between Tommy and Finster, and you'll find it hard not to be a puddle as a result. There are some things of course that were not home runs, at least for me. The first of which is Scorpina being a key player in the story. It's great to see her fleshed out after her disappearance from the show, but nothing in that new addition truly built her up as an intriguing villain. A powerful one absolutely, but her mark on the book just doesn't leave a memorable impression. Also, while the art is quite good throughout the book, there are some spots that looked less detailed and maybe even a bit rushed, but at this point, that feels a bit nitpicky. If you're a fan of Power Rangers, you owe it to yourself to read Soul of the Dragon. The book more than pays off for longtime fans, and while it brings one era to a close, it also opens up a new one you never expected to finally see.